The new Aspide Carbon FX Full-Fit is the choice of cyclists who demand the most in physical performance and comfort on their bikes. Designed for riders who are wanting excellence in performance and great comfort when cycling, the new Full-Fit model perfectly balances rider support in different seating positions. 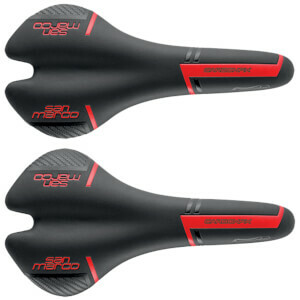 Aspide is perfect for riders who prefer a fixed seated position, when riding on the flat but push back into the saddle on climbs to generate more power. Incredibly strong and lightweight, the new Aspide Full-Fit is an absolute race-bred all-rounder.